Recurring styes are inflamed swellings on the edge of the eyelid that reoccur periodically or repeatedly. These circumscribed abscess tend to happen again -- after treatment has stopped. Eye styes are a major problem for many people. Caused by a bacterial infection and irritation to the inner regions of the eyelid, a stye can fester and cause an annoying and unsightly blister at the site of the eyelid. It usually occurs at the corner, and can affect vision and cause extreme discomfort for the sufferer. Many people get an occasional eye stye, but recurring styes can be a considerably more annoying problem. Here are some tips in treating and preventing recurring styes. These tips are a combination of known medical advice and home remedies that have worked for some. We cannot guarantee they will all work for you, but they are definitely worth a try. Keep the area around your eye clean at all times. Since the main reason that styes develop in the first place is due to uncleanness around the eye area, one way to combat this is to pay special attention to the area around the eye and keep it clean. Cleansing your eye with Q-tips on the upper and lower lashes with a dab of Johnson’s Baby Shampoo and warm water is a great way to disinfect the area and keep it clean. Avoid touching your eye with your fingers or hands. Your hands and fingers touch a lot of objects and items throughout your house which carry germs and bacteria. These can be transferred to your eye if you touch your eye with your hands. Practice putting your hands in your pocket or doing something else if you have a habit of touching your eye often with your fingers. Dab your eye with a clean Kleenex or cloth instead if you feel the need to dab your eye. Apply warm tea bags or a warm compress to affected styes to aid in the healing process. If you already have a stye that is recurring or infected, use these techniques to help the stye run its course and heal. Until the blister ruptures, it will continue to be infected. Never attempt to rupture the blister yourself, as this can serve to spread the infection into other parts of your body. For recurring styes, see a doctor and consult with him about what might be causing them to return. Oftentimes, it is something you are doing that could be corrected by practicing better hygiene. There may also be anti-biotic creams and ointments that a doctor can prescribe to aid the healing and avoid further recurring styes. These 5 tips can help you lower your chances of getting recurring styes and may offer some treatment and relief from your current infection. 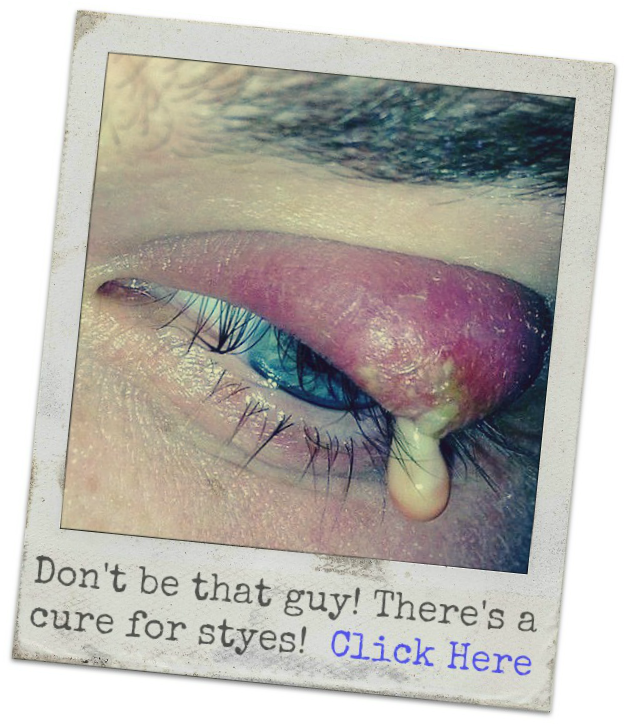 If you continue to get styes that recur often, consider consulting with a physician to determine the causes of your problem so that you can eliminate the source when possible. Leave a comment, ask a question, or share your experience!